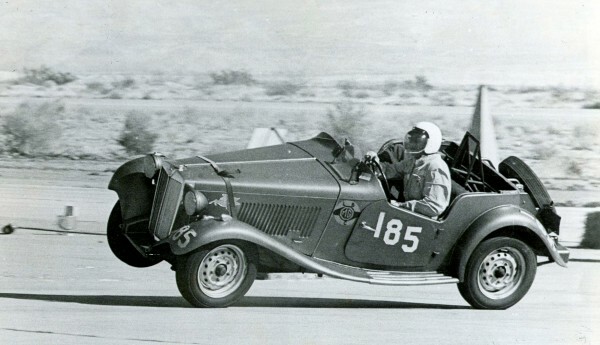 Bill raced MGs and an Arnolt Bristol in the 1950s and was still a winner in historic races until his retirement. 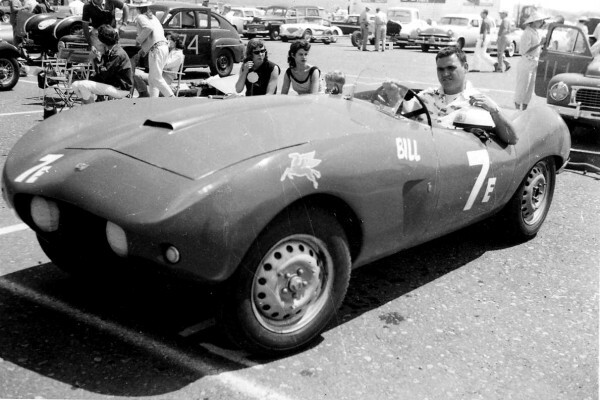 Who's this handsome young fellow in the Arnolt Bristol at Hourglass Field in 1956? 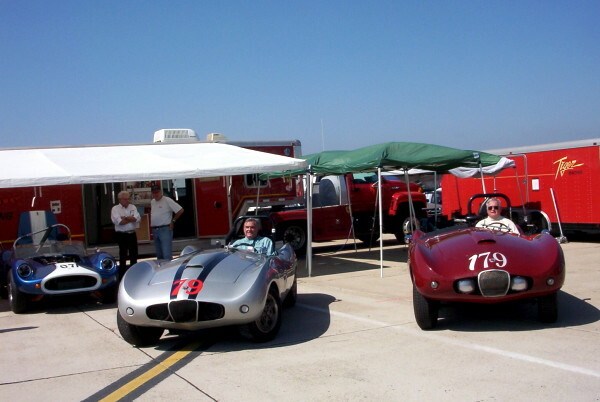 Bill in #79 Arnolt Bristol at a recent historic event at Coronado, CA. From Bill: "The #179 car is owned and driven by Skip Hanson. That's Tom Hollfelder and his Devin SS in the background." 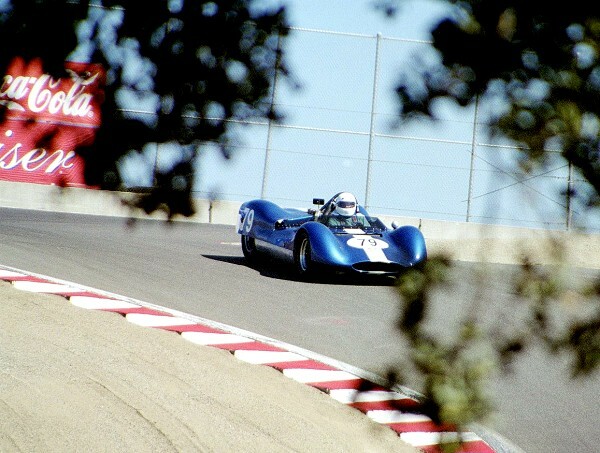 Bill winning Group 6B at the 2003 Monterey Historics in his Genie Mk.8-Ford.